No, they will not stop time. But they will help you to live in it NOW. Laugh at yourself. Laugh with your kids. Think of something that makes you laugh. Find those things that made you fall in love in the first place. This will keep that fire kindled and make your marriage much happier and fulfilling. This one is tricky and challenging. In fact, when I started to implement this in our home, I was sad at how difficult it was to do! A whole day without any screens is a long time. It saves your eyes, helps you focus on more important things, and it just gives you a break! Ouch. This one is so hard. As someone who struggles with mental health issues, fear is a part of my every day life. But every day I walk the uphill battle of giving up fear. The experts say that one day it will get easier. Stick in there with me. My personal goal is to read a book a week. Interested in what I am reading? Click here to see the 52 Books I Will Read This Year. Reading keeps your brain working, fresh, and alive. Better yet, Save 15% of your income and invest it. Come up with a savings plan and stick with it. Learn coding, a foreign language, knitting, sewing. Learn how to blog, write a book, keep a bullet journal. Take a course on how to cook Italian food or how to paint a portrait. Go for it! Learn something new and try to do so every single day one day at a time. I know your first questions is when??? As a homeschooling mom of 5, time is limited, energy is not always there, and alone time is nonexistent. Focusing on your health does not need to be complicated. Find ways to be active with your kids. This is super important and super simple. Plus, it does not take long! The biggest benefit is to reduce inflammation. Flossing every day is the first step to preventing gum disease. Plus, it is easy and cheap so why not? Hanging out with negative, complaining people is not going to bring you up. Now we all have a negative day every once in a while. But it is still important to reflect on where, how, and with whom our time is spent. And it can be done in so many ways. Even organized, type-A individuals like myself can benefit from journaling by keeping a bullet journal. Write down your thoughts, feelings, emotions, and notice the difference in your everyday life. This is the number one way to be more productive. Make lists and act on them. A list is only going to be helpful if you make some steps towards completing the list. This can be goals, dreams, hopes, or just a simple grocery list. It can be cleaning tasks or books to read. It all starts with a list! So these are the MOST IMPORTANT things I am doing right now in my own homeschool. 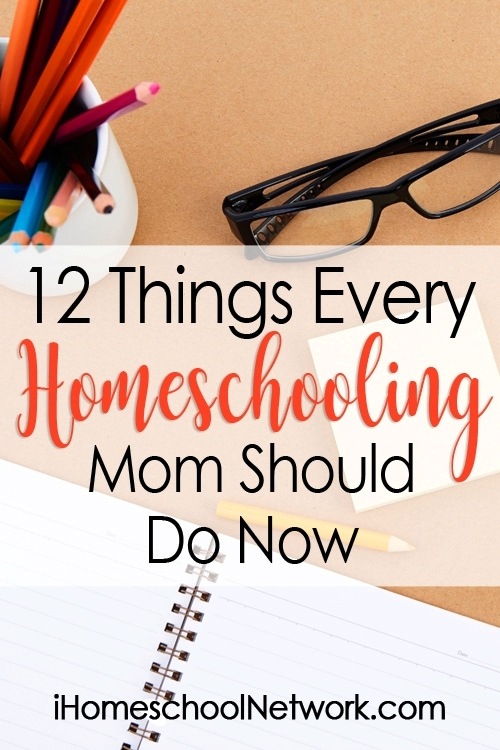 Looking for some more guidance with your homeschool? I am so honored to bring to you my brand new course Homeschooling That Works. The best part is that I am offering a free trial with some of the most popular modules.